Have you ever wondered if there are secret formulas to be more productive, keeping you on track with life and all your goals? There is a way, it is by using your day planner! It is amazing the ways day planners can help you reach your goals and organize your life! If you use it correctly it has the power to help you beyond your wildest dreams, the difficulty is actually using the planner! It is important to understand that this secret actually requires planning and hard work from you, planning is not always easy but it is important to do it right! Have you ever thought about using a day planner, do you understand the principle but find it difficult to apply it to your everyday life? If you use your day planner as the tool it is, you will find that it has a fantastic ability to keep you organized. Time: Keeping you on time for appointments and on schedule is the basic function of a planner. It is there for you to use and to follow allowing you to move through your day without panicking that you have missed an appointment. Overwhelmed: If you use your day planner effectively it will reduce the overwhelming feelings you can get when you have too much to do! They are able to give you structure and take away the uncertainty. Basics: It is important that you don’t forget the basics, they are the foundation as to what you need to run your day. Including these in your day planner might seem odd, but I think they have a great power to help you see how much you need to do! Separates: I really don’t like separate day planners, you need to know what is important and what’s scheduled in your day and that includes home and at work. For this reason, I think it is important to have just one day planner so you can see the full extent of your day. Focus: If you want your planner to work you have to use it and to keep ensuring how you set out your day, is working. You need to ensure that you are able to keep the focus on the important tasks and complete them. Include: What you include in your day planner is a personal choice, you might want to record memories or thoughts, the most important things that you must include are tasks and events, without these, you are unable to plan effectively. Goals: Long-term goals are a great incentive to keep you heading in the right direction. Use your day planner so that you are able to keep these goals in your focus and you make plans that enable you to move forward to reach these goals and dreams. Using time: Not only is a day planner a great way to help you create your daily schedule, it is also a great way to ensure that you are using the time you have available, the most effectively. It will show you when you are using your time wisely and when you’ve been distracted and not finished what you have planned. Flexibility: Having your day planner that allows you some flexibility is important, life happens and all great plans are subject to unexpected changes. After all, you don’t write out your planner in stone, so don’t think you can’t change aspects, but when you do change something remember it is important to reschedule immediately so the task isn’t forgotten. Free-Time: By using your day planner, it finds you free-time. You might even have more than you could imagine, and that only comes with careful planning and understanding how to organize your days. The important ways day planners can help is through teaching you how precious your time is and how, by using this wisely, you can achieve so much more than you could imagine. Often, you will buy a day planner and you have this notion that it is going to change your life. It can, but you actually have to use the planner otherwise it will sit there and do nothing. Write down the basics of what you need to do, the tasks you need to complete and the appointments you need to remember. Look at the time available and use this wisely, try making the most difficult task of the day as the first thing you tackle. It makes the rest of the day a lot less stressful. I have found that my planner is so important for me, it is my memory, my source of information that I don’t want to forget. But it also keeps me focused. I know that in the pages of my planner is my plan, the thing that will keep me on track, to help me reach my goals. This isn’t all! There are different ways day planners can help you, they act as a reminder for upcoming events. You can make notes in them. If something happened a quick note is a great reminder for future reference. If you are looking for ideas on how to get started creating a day planner, you do have options, it depends on you and your needs. Having a physical planner in my hands is important, I have tried to go digital and I hate it! If you are looking for a paper option you’ll be surprised at just how many different versions there are! Electronic planners, try with something free like the Google Calendar, if you find you want more options, then you might need to search for something that meets your needs. Time, you need time to plan your day! What are your favourite ways day planners can help you? Comment below! 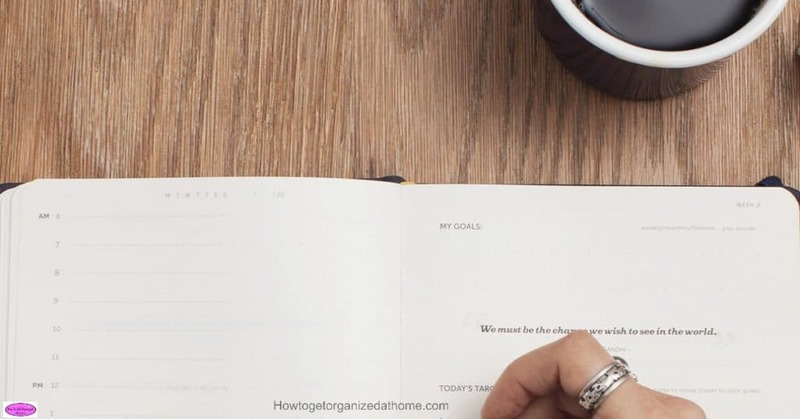 Therefore, if you are looking for more focus in your life, a way to ensure that you complete tasks and track appointments, it is time to take a look at how you use your day planner. It is one of the most important tools that you own! If you are looking for more articles on planning try: Planning or 10 Ways To Help You Use Your Day Planner Better.